The Antibody Society is an international non-profit association representing individuals and organizations involved in antibody research and development. We aim to facilitate discussion and interchange of ideas regarding issues of fundamental importance for basic research, therapeutic development and clinical testing in the field. 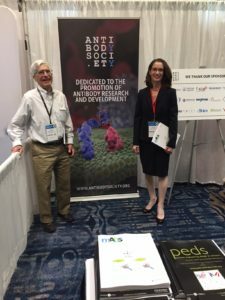 To achieve this objective, we serve as Scientific Advisors and Session Chairs for two key meetings, Antibody Engineering & Therapeutics, traditionally held in San Diego, and Antibody Engineering & Therapeutics Europe. More information about Antibody Engineering & Therapeutics (US) can be found here. More information about Antibody Engineering & Therapeutics Europe can be found here. As a member of the Federation of Clinical Immunology Societies (FOCIS), we also organize Symposia held during their annual meeting. More information about the Society’s FOCIS Symposia can be found here. 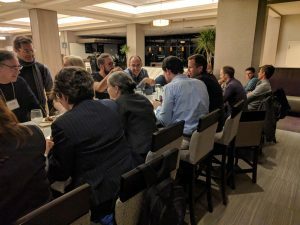 In addition, our Adaptive Immune Receptor Repertoire (AIRR) Community holds meetings and workshops designed to develop standards and recommendations for: 1) obtaining, analyzing, curating and comparing/sharing NGS AIRR datasets; 2) using and validating tools for analyzing AIRR data; 3) relating AIRR NGS datasets to other “big data” sets, such as microarray, flow cytometric, and MiSeq gene-expression data; and 4) legal and ethical issues involving the use and sharing of AIRR data sets derived from human sources. 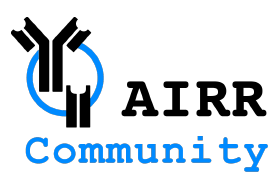 The next AIRR Community meeting will be held May 11-15, 2019, at the University of Genoa Scuola Politecnica, in Genoa, Italy. Session topics include: 1) Advances in Understanding Biological Processes of AIRR; 2) Challenges in Processing and Storing of Massive Datasets (>1bn Sequences); 3) Advances in AIRR-seq Addressing Human Health and Disease; and 4) Challenges in Engaging Stakeholders in the Process of Research and Translation. More information about the meeting in Genoa can be found here. 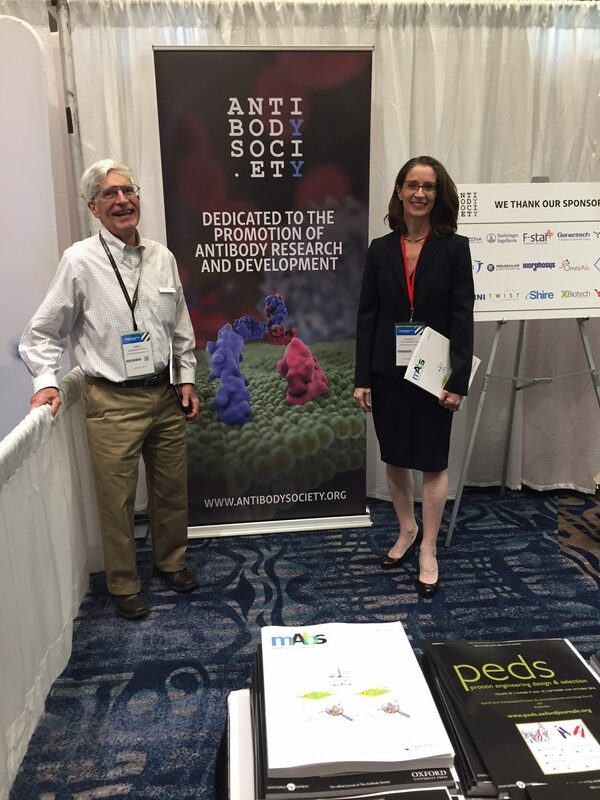 The Antibody Engineering & Therapeutics conferences are our premier forums for scientific exchange and networking in the fields of antibody engineering and therapeutics, immunobiology and next-generation binders. For over 25 years, renowned academic and industry scientists from around the world have convened to share best practices and scientific results to accelerate antibody research, discovery efforts and clinical programs. We look forward to seeing you in Amsterdam and San Diego! 3) support for travel expenses (up to $400 for domestic or $800 for international flights, 3 nights at the hotel, ground transportation). In order to be considered for this poster competition, you must be a student or postdoc member of The Antibody Society. If you are not already a member, you may register here for a free student or postdoc membership. KNect365 is managing the poster submission process. You must check the box on the poster submission form indicating that you want your abstract to be considered for the poster competition. Deadline information will be posted as soon as possible. The Antibody Society members receive a 15% discount on the registration fee when using code Antibody2015!